It’s time again for the Friday Fictioneers, kindly hosted by Rochelle Wisoff-Fields. This is a writing challenge which asks that we produce a piece of fiction in 100 words from the photo prompt given. Here is this week’s photo, copyright Melanie Greenwood . . . I tumble into a deep, dark place, removed from the laughter and light. I traipse the labyrinth of my mind, engulfed in a maelstrom of questioning thoughts. Yet, like swirling tendrils of shadows along my path, answers reach out to taunt me, then melt away to obscurity. Why am I lost, alone in the bleakness of night? Will the sun never rise in this covert place? Why has my youthful body deserted me, left me in these serpentine depths? But wait! 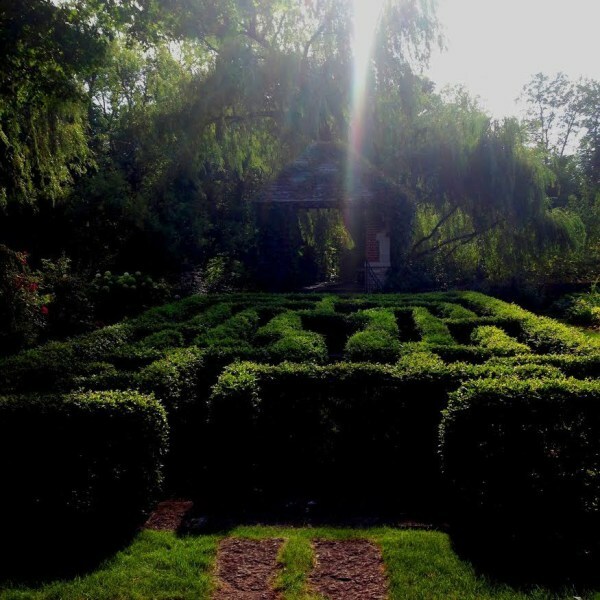 A light shines down on this maze: my escape to the world beyond … and reunion with my body. This is a little different to the pieces I’ve been writing recently. I was particularly drawn to that single beam of light in the photo. I almost wrote somethig historical (my favourite genre!) but changed my mind at the last minute. Too late to change things now – I’m about to post! Self-revelation? 🙂 I love it. I love that the labyrinth is deep within the narrator’s own mind – what a clever spin on this prompt! I love your writing Millie…this piece especially for whatever reason I cannot say it just resonates. Hopeful finish. Well done. Very good. I almost did a “trapped in their own mind” story for this but changed my mind. I’m glad your narrator sees a way out, maybe from depression or a coma of some sort I’m thinking. I had in mind a coma of some sort that left the body immobile but the mind still alert. An awful situation, in anybody’s book – so I just had to have that ray of hope at the end. I realise there are several other ways my story could be interpreted, though. Funny you almost did the ‘mind’ thing this weeek. too. Thank you for liking it, Ali. Nice shift from bleakness to hope in the end. You can literally see the light coming in. I like your take on the prompt – I am much too literal-minded, I couldn’t see beyond the hedge :). It was a really good hedge, though. I wouldn’t like to sit next to it! Thank you for the comment, Sonya. I love the spin of the labryrinth of the mind and aging. Wonderful! I’m glad you liked it, PJ. It’s interesting for me to see the different ways in which people have interpreted it, too. I knew when I wrote it that would be the case. Thank you for your nice comment. I think it takes a very good writer to write a story that can be interpreted many different ways. Excellent. I really like this prompt because it is bringing about so many different takes. I like how you focused on the beam of light and the mental aspect. I, too, am wondering where my youthful body went…Wonderful, Millie. I think I’d rather be swimming than doing most things, Rochelle. It does help to lift you from dark, brooding thoughts, too. Sorry to hear you’ve been in that position lately. I can’t help thinking it’s connected with the contents of your extremely moving post. just awesome. one of the best interpretations of this week’s prompt. “But wait! A light shines down on this maze: my escape to the world beyond.” I’m keeping this one for my adventures! Absolutely beautiful. You are such a brilliant writer, Millie. I’m so glad to be encouraged by you. Very evocative and intriguing. It has many possible meanings, but I’m glad there’s a light at the end. Yes, it does have several possible meanings. I’ve been really interested to see how people have interpreted it. Thank you for commenting, Margaret. This poetic tale of finding yourself again works so well as a metaphor.. i think we had similar thoughts on that beam of light..